Poems are the words of love... rhyme that flows like nectar from the mouth. So in this mildly naughty game, we make your guests search for rhyming words, that fit the loving descriptions we made for them. 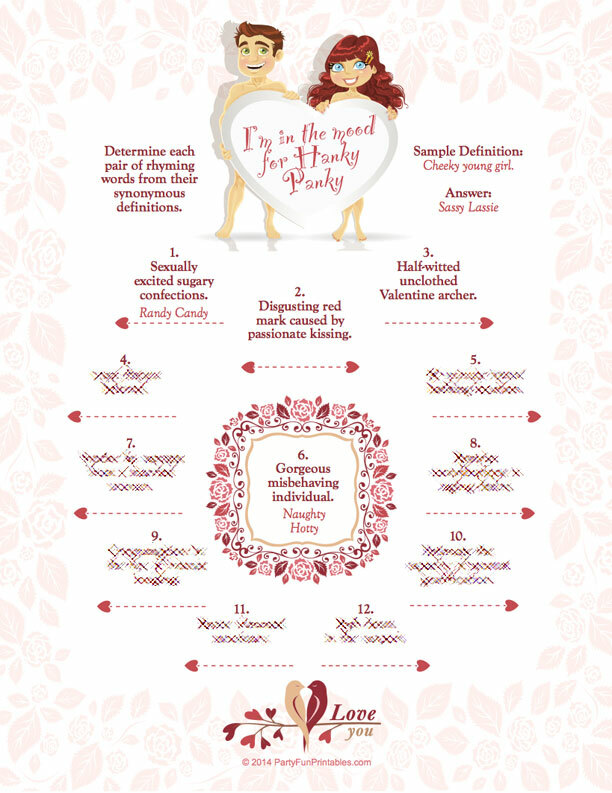 Print out enough sheets to hand out at your Valentine Party. Add to the fun by buying small prizes for the winner (maybe items that are just right for a little hanky panky? ).